I haven’t posted one of these in super long because there hasn’t been a week where I’ve consistently worn eyeshadow. So instead, I have a collection of different looks for you guys. 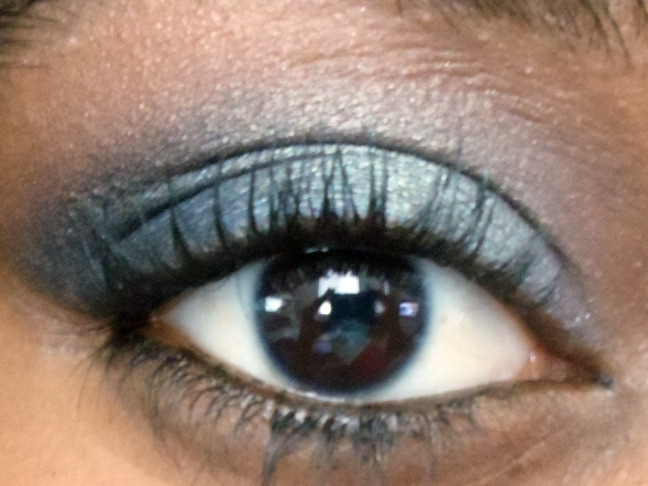 This look was some smokey grays and blues. I used Urban Decay Shattered, Coastal Scents C9, and Urban Decay Perversion. Excuse the flash in this photo. I wore this look out to party. It was really simple. 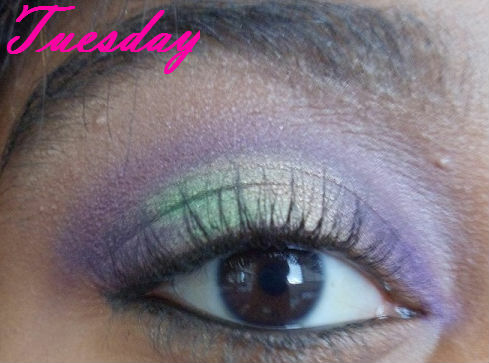 I used Coastal Scents C7(the darker purple in the Creative Me #1 Palette) all over the lid, Urban Decay Mayhem in the center of the lid, and then MAC’s Grape pigment to darken up the inner and outer corner. 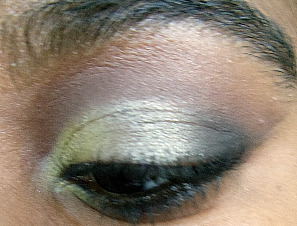 For this look, I took a matte yellow (Coastal Scents C1) in the inner corner, a shimmery gray all over the lid (Urban Decay Shakedown), and then a matte black in the outer V (Urban Decay Perversion). The picture isn’t a very accurate display of color, but the final look was really cool. I got a lot of compliments on this look. 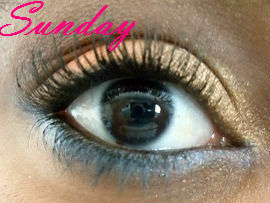 What’s on my eyes this week? I considered doing daily FOTD posts, but then I realized a lot of what I keep on my face everyday is the same, but what changes is my eyes. So instead, at the end of each week, I’ll post a collection of what I wore and what I used. That's all until next week loves. Okay so I lied. I didn’t really use aqua eyeshadow, but I thought of water while I was doing this look.